ORDER NOW AT SOARING USA!!! The most versatile, sophisticated, reliable, state-of-the-art radio system! 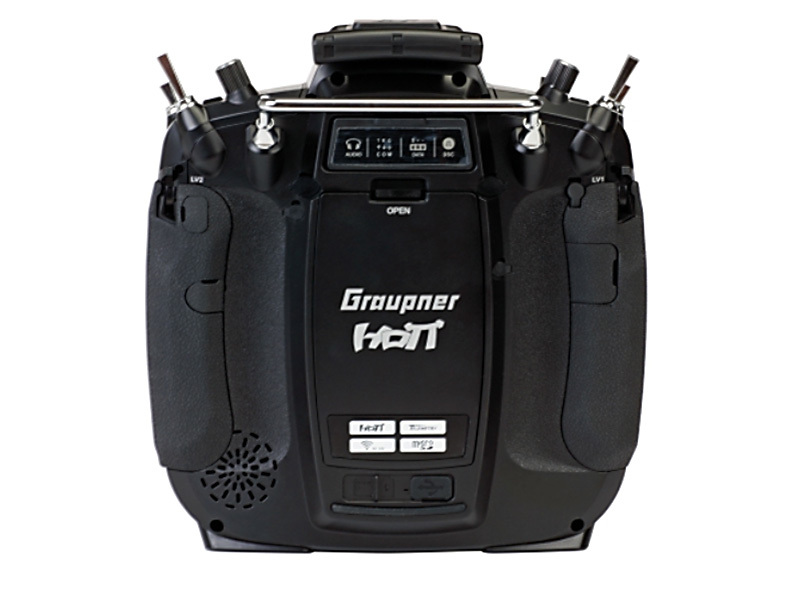 The Graupner mz-16 provides the technology and features only seen in high-end radios available as a 16 channel 2.4GHz HoTT radio. 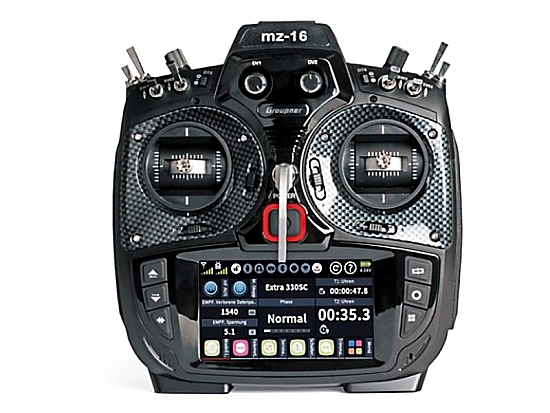 The mz-16 provides the pilot with a radio system where accuracy, control and reliability is fully integrated inside a high-tech carbon look and comfortable ergonomics transmitter. The mz-16 brings the same powerful features as our mz-32 radio introducing a new level of functionality where you, the user, can control almost any part of the radio. The mz-16 brings you the power to design your own screens, program your own control logic, filter your own voice notifications and even design the looks of your radio with removable colored faceplates. 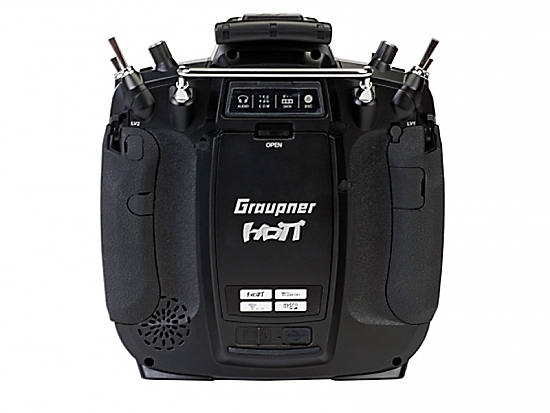 The Graupner mz-16 provides 16 channel proportional functions and supports five different model types such as electric, gas or turbine airplanes, helicopters, multirotor, cars and even boats. It can store and load up to 999 different user models, has 8 flight-phases and 12 curve mixers which can be set global or flight-phase dependent! The machined aluminum quad bearing gimbals provide the smoothest control feel a pilot can experience which can be comfortably adjusted the way you like from the back of the radio. The mz-16 has a rock solid HoTT 2.4GHz RF system combined with a adjustable linear antenna for unmatched signal quality and extended range. The outdoor friendly 4.3-inch state of the art TFT color touchscreen ensures convenient access to all the mz-16 functions for setting up and managing your models. The highly optimized and fast performing graphical user interface is driven by a high-performance processor making access to menus and functions fast and crisp just like on your Smartphone. The intuitive touch and tap control make navigation around the menus fast, easy and fun! The mz-16 is not only fast and responsive but is also fast to load. You will be using your mz-16 from power up in no time! Designing your own screen layouts to display information or create menu shortcuts can be done on the fly by simply tapping on the screen. The mz-16 provides over hundred widgets which make up the screens that you like and fit your style for controlling your models. You can create in total six screens that better fit your needs and personal style using the tip of your finger. No programming needed! You can do it all with the mz-16! One radio for all! English, German, French, Dutch, Italian, Portuguese, Chinese, Korean, Spanish language is supported with more languages to come all in one radio! 16 PROPORTIONAL CHANNELS AND 16 DIGITAL SWITCHES! 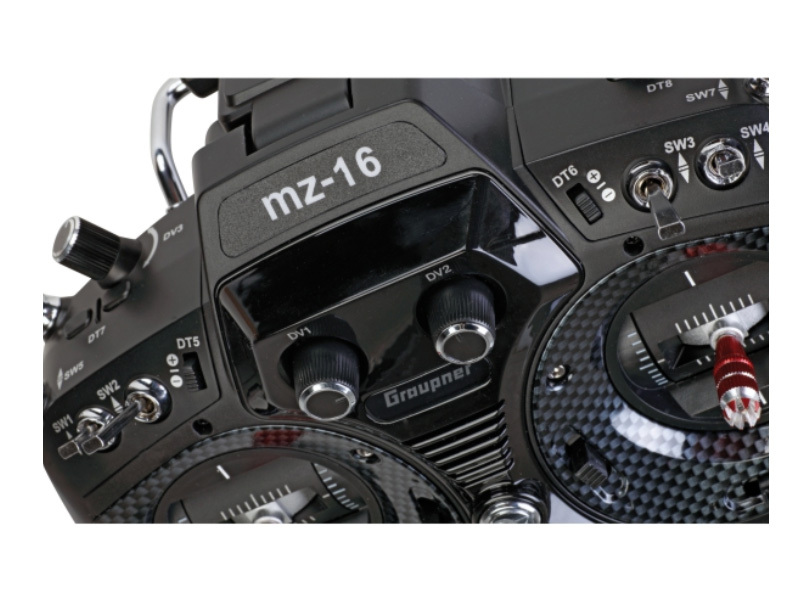 With 16 channels the mz-16 provides unlimited functionality and control over any model that you have. You can bind two 2.4GHz receivers so you can layout and distribute the channels the way you want. For example, you can have one receiver that controls all your wing servos such as ailerons, flaps, landing gear, and lights. Just supply main power to the wing, and you are ready to go. No complicated wiring or expensive hubs needed! This provides you with a level of simplicity with the benefits of additional RF redundancy for extra peace of mind. Still need more channels but do not have enough switches to do what you want? The mz-16 also provides up to 16 digital switches that can be assigned and controlled with a single tap from the widget menu. Create as many digital switch combinations as you like for turning lights and smoke on or off, turn cranes or water guns or anything else that you need to control without using up your switches. Switching and control options are further enhanced with Logical Switches (And, Or, Equal, Not), Control Switches, Sensor Switches and Combination Switches. 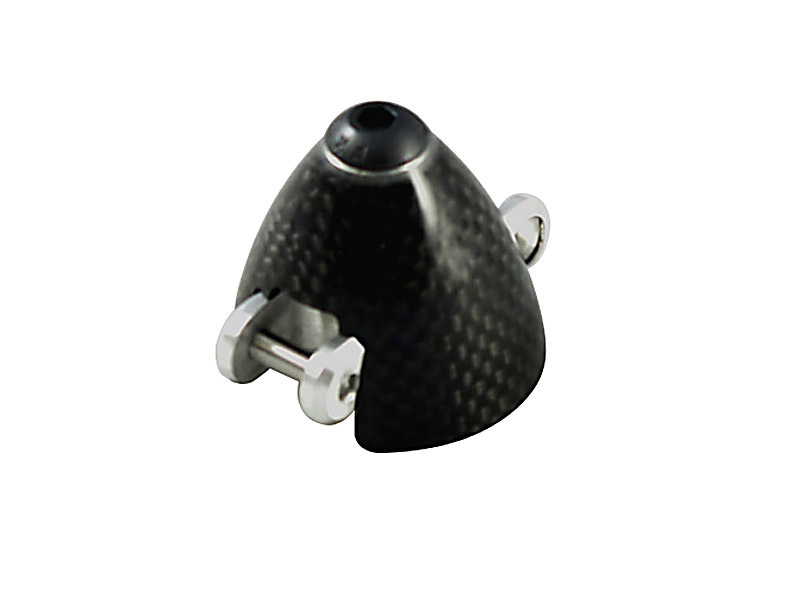 Each provides a new level of control to you depending on switch position, stick location or telemetry data. VOICES YOU WANT TO HEAR! Need to hear what is going on? The mz-16 provides endless options to generate almost any type of system or telemetry voice notification depending on the state of your radio such as switch positions, flight phase names, warnings, vario information and endless others. The mz-16 starts communicating with you from the moment you turn it on, informing you if a switch or control is in the wrong position for the selected model. 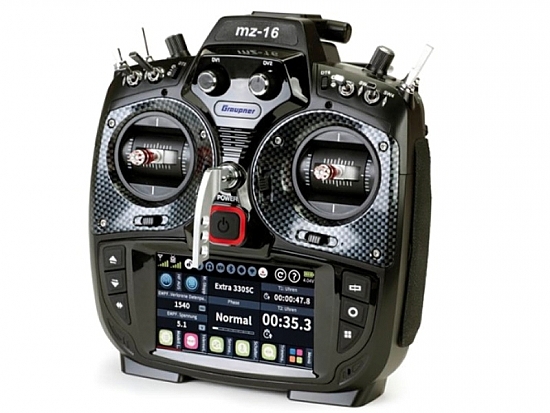 No more surprises from collapsing landing gear, runaway motors or wrong gyro settings. The mz-16 can inform you when needed even when you forgot to bring down your landing gear or are about to run out of range or battery. Walks of shame are now a thing of the past! With over 600 installed voices and unlimited voice combinations, you can make almost any voice announcements or add as many as you want using our text to speech editor. INSTANT HELP WHERE YOU NEED IT! In need of help during setup or when something is unclear? Forget about searching through lengthy manuals or endless web searches! 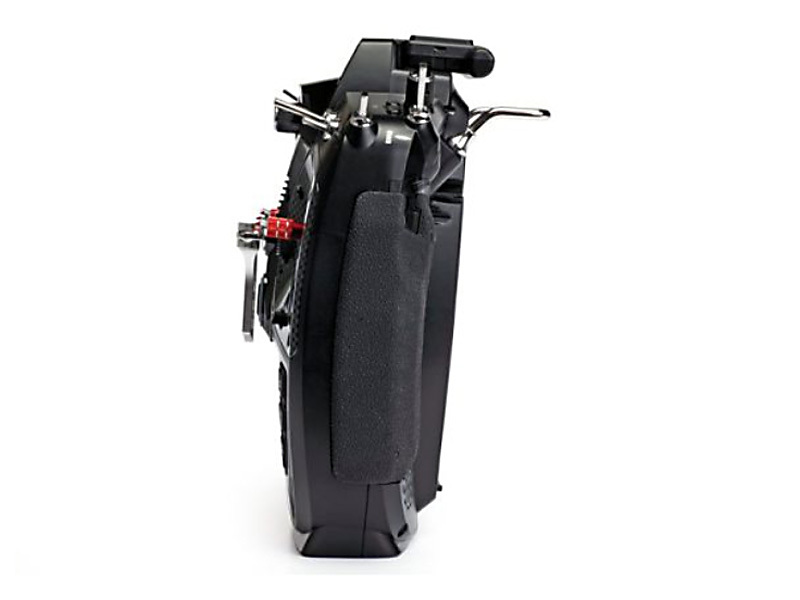 The mz-16 provides support right where you need it. Each menu and option have its own context-sensitive answers right on the screen. Just tap the question mark and you will be instantly presented with help and assistance. Don’t like our help screens? Make or add your own help screens with whatever content makes sense to you. The mz-16 is there for you allowing you to do and have the things you like the most. CONNECTIVITY THAT TAKES YOU FURTHER! With integrated WLAN the mz-16 is ready to connect you with the rest of the world! Connect to your wireless LAN to receive notifications about newly released firmware which are instantly downloaded and installed on your radio. Your mz-16 is always up to date with the latest and greatest! Updates can also be done with the included USB cable and our firmware upgrade studio software. 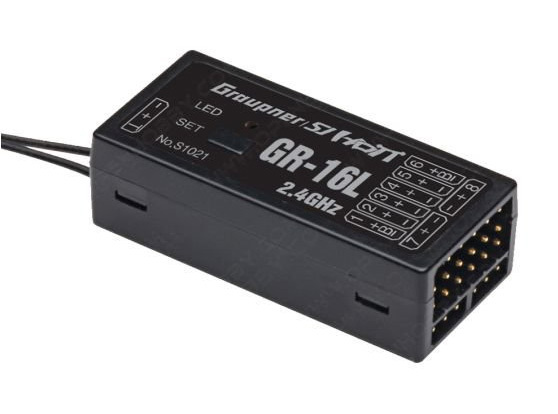 Graupner takes connectivity further with a micro USB port that can charge your radio, access your included 16GB micro SD memory card where screens, models, voice files, music and screen shots can be stored. 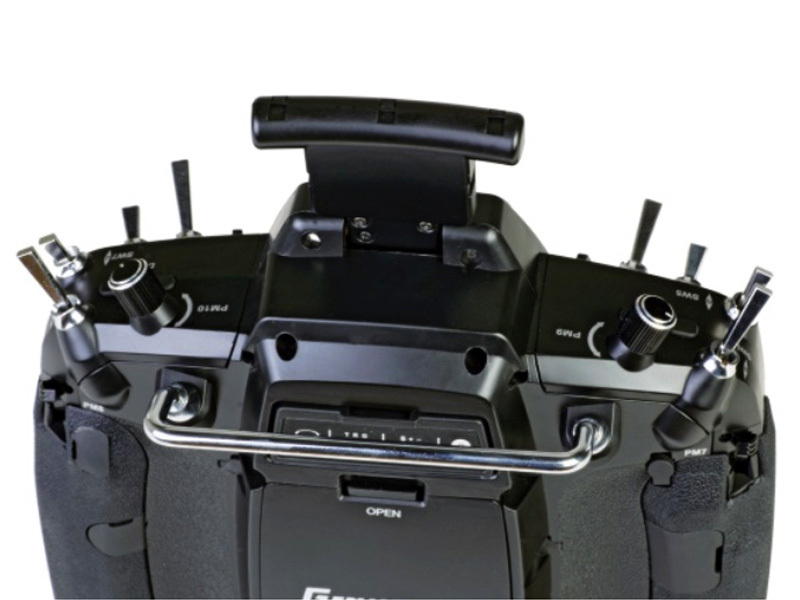 You can use the USB or DSC port also as a joystick controller for games and flight simulators. Now you can practice flying your model on your favorite flight simulator with the same radio that you use at the field! The data port on the back can be configured to output a variety of digital signal outputs like SUMD, CROSSFIRE, Smart Box, and more. Adding and using third-party modules such as long-range FPV has never been easier than with the mz-16. 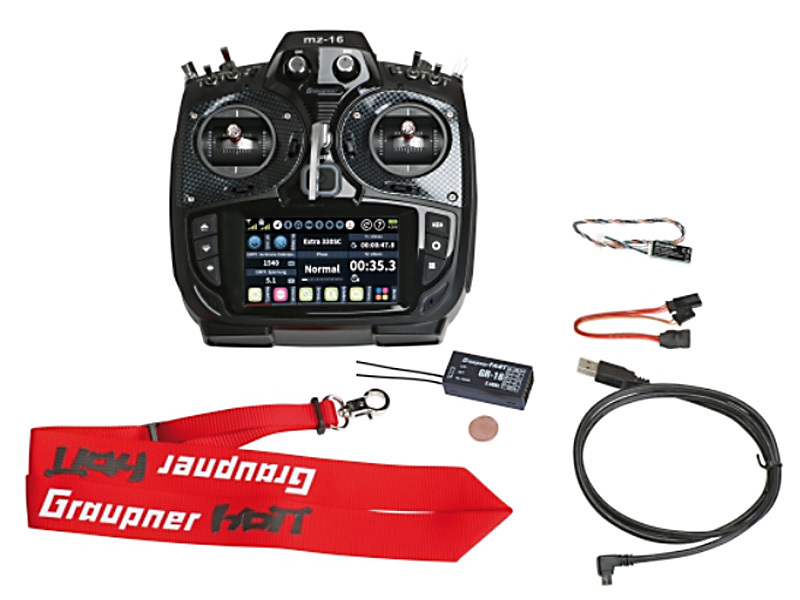 All Graupner HoTT receivers now also support digital serial wire output such as PPM, SUMD, and SBUS for more connectivity and better interoperability with third party flight controllers. Computers, wirers, and programming boxes are things of the past! The mz-16 HoTT wireless protocol lets you do everything right on the radio! Need to set up your telemetry, flight controller or reverse the direction of your ESC? Just use the shortcut key on the radio to access any of the connected devices, and you are immediately in business. Do this at home while setting up your model or at the field to fine-tune your settings. Enjoy the HoTT integration of third-party flight controllers and sensors like Ikon, Spirit, 3Digi, MSH-Brain, SM-Modelbau and many more for easy access using your mz-16 radio. Training your family members or friends is as easy as bind and teach! The mz-16 provides a wireless as well as wired trainer support you can use with other brand radios using the DSC port in the back. You can assign control to any of the active channels depending on your student’s level and model capabilities. Passing control is easily done with a flick of a switch.